Are you looking to create the home of your dreams? 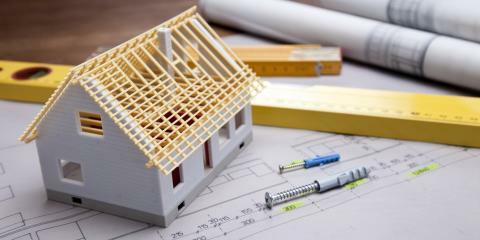 At 5th Avenue Construction, Inc. in Naperville, IL, you can design every aspect of your palace. This building contractor approaches each project with one thing in mind: fulfilling your wishes. They want to make sure every detail of your home design is exactly how you envisioned it. This building contractor is committed to giving you the home you’ve always wanted. From the tile and countertop material in the kitchen to the paint color and shingles of the exterior, you have the final say. Effortlessly visualize your new custom home with their Virtual Designer Tool, choosing from hundreds of different combinations to truly personalize your home. Have your home built in the Naperville or Lemont community that’s right for you and your family or request occupancy on former model or inventory homes to begin living in a high-quality home more quickly. Do you already have an existing home that you want to fall back in love with? Take advantage of their remodeling and home improvement services! They can perform home renovations and update your kitchen with granite countertops and your bathroom with a new and improved double vanity. From design to the final construction, their team works diligently to complete your wishes within the given timeline. Work with a building contractor that’s ready to tackle the biggest task of them all: the home of your dreams. Call 5th Avenue Construction at (331) 231-9773 or visit them online to start your journey today.